Given Twitter’s algorithm favors engagement, including re-tweets, can re-tweeting your own tweets have a beneficial impact? 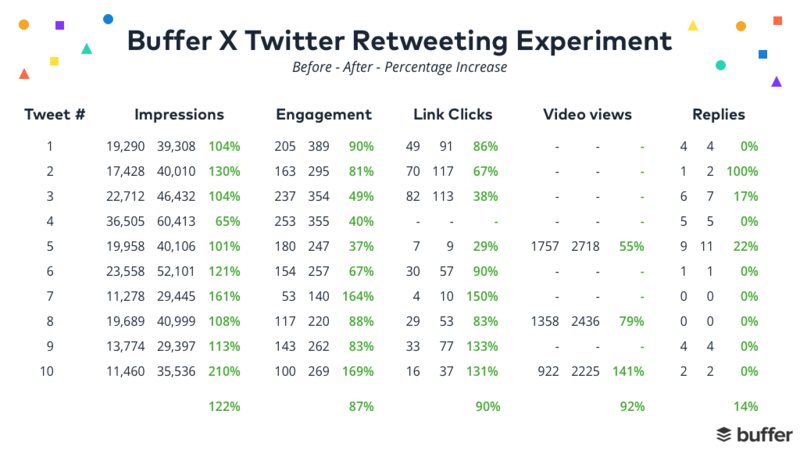 According to a new report from Buffer, it definitely can – seeking to get a better understanding of the practice, Buffer set about re-tweeting some of their best performing tweets, in terms of engagement, and tracked the results. It’s worth noting that Buffer didn’t re-tweet all of their tweets, just the best performers – Buffer recommends using your Twitter Analytics to find your top tweets. 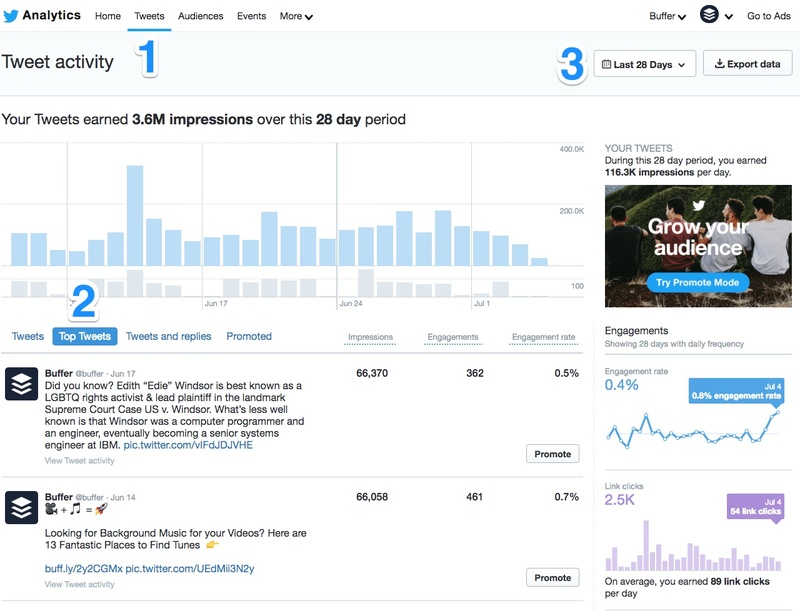 The tweets listed on the main Analytics screen are, by default, ordered in descending order based on impressions, but Buffer recommends using ‘Engagement rate’ as a likely better measure of success. It’s worth noting, too, that Buffer’s reasoning behind their experiment relates to a specific interpretation of Twiter's rules. Buffer refers to Twitter’s recent change which, in their words, “prohibits sharing tweets that are identical or substantially similar to one another” - so you can’t simply re-schedule your best performing tweets. The focus of these updates is to stop spammers from amplifying messages across multiple Twitter profiles at once, and is not specifically related to single profiles. So in variance to Buffer’s interpretation, you can actually re-use the same tweet on your own account (within reason – it’s always, technically, been a violation of Twitter’s rules to publish the exact same tweet multiple times within a short period), but you do need to avoid posting the same exact tweet across multiple profiles. Regardless, the results of Buffer’s experiment are still relevant in the context of engagement, as they relate to using re-tweets as a potential indicator of interest. As Buffer recommends, you probably don’t want to re-tweet all your tweets within quick succession – best practice would be to re-tweet your best tweets at a scheduled, strategic rate, re-sharing each a couple of days after initial publication, for example. But the data does indicate this can help, and it can also save you time as you won’t need to re-create so many tweets to fill out your schedule. You can read Buffer's full report here.